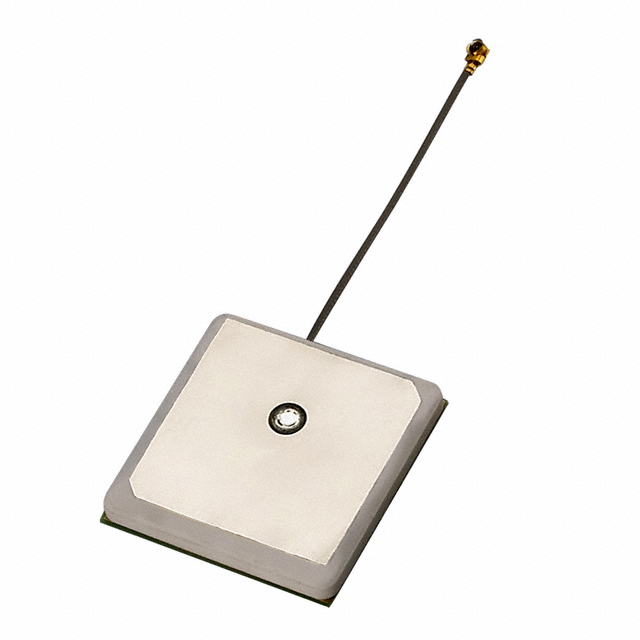 A typical active GPS antenna needs to be shielded from RF interference from the flight controller and electronics in the airframe. 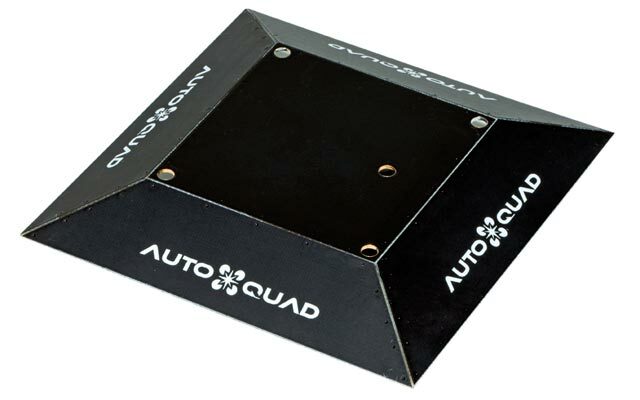 A groundplane shield is the solution. 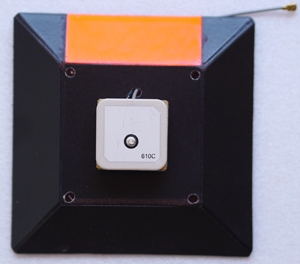 A groundplane is basically just a conductive plate that is placed between the flight controller and the the bottom of the antenna to shield from RF interference from the frame electronics. 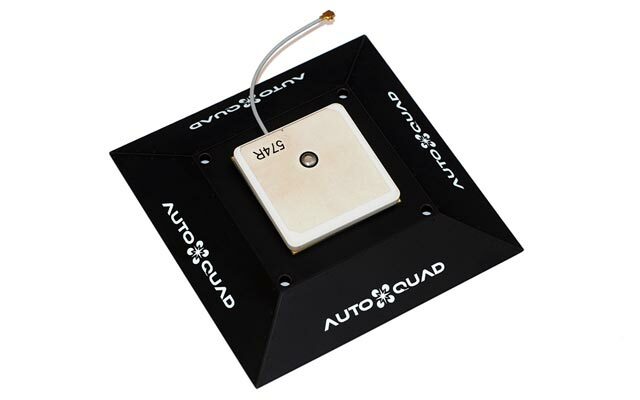 The groundplane also effectively enlarges the area of the antenna, thus increasing reception and improving the vertical and horizontal position estimates. Without a proper groundplane, you wont get a proper 3D lock on most copters. There are several shield layouts possible or you can buy the official one from a retailer. 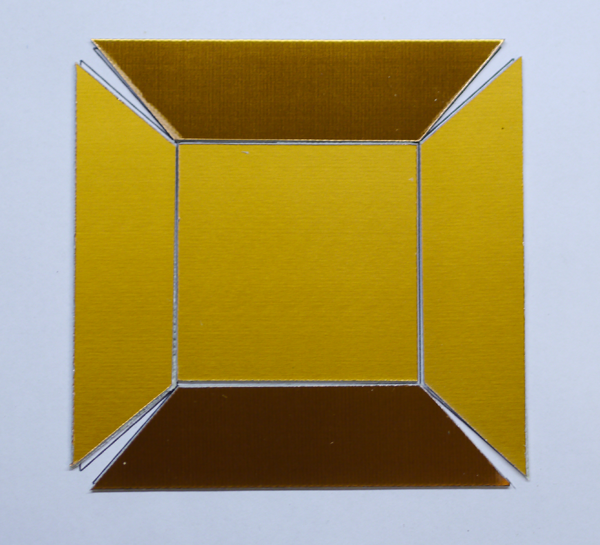 It is however also very easy to build one yourself, you only need some thin coper plate or a 1mm printed circuit board (PCB) with or without the photoresist coating. Use tape to hold the parts on the non-copper side together and fold the corners to they met. Then solder all sides. 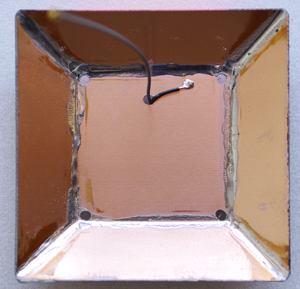 Place the active antenna on top and solder a small wire from the aluminium ‘cage’ on the antenna to the copper of your shield. Note: please plug/unplug the tiny GPS antenna connector very gently each time or you might bend it and therefor get no reception at all! u-center GNSS evaluation software for Windows. You can download it here. Use a USB/UART connection at a baud rate of 1200 in the tool´s “Receiver menu. This page was created on 18-Jun-12 by menno. Last modified on 27-Feb-15 by kinderkram.